It is one of my primary beliefs that if you truly want to be great at something you have to be a life-long learner. That means to me personally that I am humble enough to keep re-examining my skills and knowledge, always looking for the next edge. I have studied with my mentor in healing, Sue Maes, for so many years that I have taken her basic internship not just once but four times and studied all her courses so many times that I am certified to teach at least one of them. But I keep studying with Sue because I want to keep becoming healthier and healthier myself and better and better at what I do. Each time I take a course, I refine my skills and deepen my understanding of how to access profound results. One time recently, for example, it took me just one session to heal the hand of a professional writer. To her, it just took one hour and a half and she paid me my usual session fee. To me, it took me an hour and a half plus 18 years of serious study to learn how to test all the muscles in her hand accurately, how to access the correct acupressure points to heal them, how to clear the emotions behind her pain and how to do that all so quickly it looked so easy like I was practically not doing anything. I remember the early days of clearly freaking out whenever the subject of hand muscles would come up in my studies with Sue. I didn’t think I could handle it! I would pout and hope I would never got any clients who had problems with their hands. This is like hoping you never get a certain question on a test in school. “It’s about being a healer,” Sue observed to me dryly. We have to be able to handle whatever comes up. I am a healer and I can now handle it. People frequently ask me whether I have ever helped anybody like them, or someone with similar problems. The answer by now is yes. I have had the courage to go all sorts of places. To me, the people who think they know it all already have long since past their greatest days. One of the best articles I ever read on this subject concerned the most accomplished golfers of the world, Tiger Woods and Phil Mickelson. Even at the top of their game, they hire the best experts they can to deconstruct their strokes, even to the point of getting worse before they get better, in order to take everything to a whole new level. I just got back from taking another seminar about yoga – this one was yoga for the healing the back. I can’t even remember how many seminars I have taken about yoga since I started practicing 18 years ago or teaching 15 years ago. By now, though, I have five primary certifications in yoga, not counting all the workshops or all the books I have read or all the hours I have practiced on my own. I wrote another blog post about how much I appreciate Lillah Schwarz, owner of Lighten Up Yoga Studio in Asheville, North Carolina. 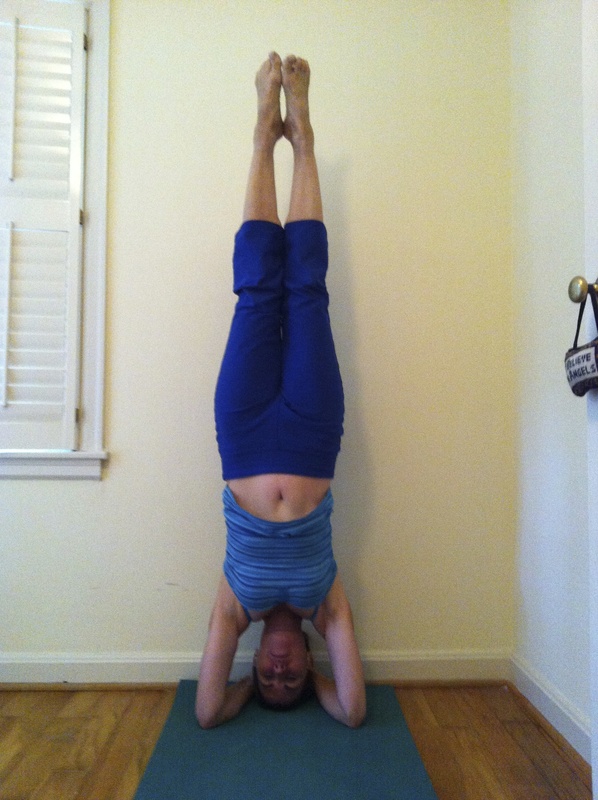 Lillah is an Iyengar yoga teacher. I took her yoga for healing the back seminars because I wanted to study with her up close and decide whether or not to take her 200-hour basic training. This was a serious question for me because I usually teach vinyasa yoga and Iyengar yoga is an entirely different cup of tea altogether. My favorite vinyasa yoga teacher is Erich Schiffman, who also studied with Mr. Iyengar before going on to develop his own approach, which he calls Freedom Yoga. I have taken Erich Schiffman’s teacher training not just once but twice. And when I teach yoga, I take a very pragmatic and creative approach, addressing the students who I have in front of me in each class and then putting together a unique vinyasa just for them that day. To go from teaching vinyasa yoga to studying and potentially teaching Iyengar yoga is, to me, like being a Buddhist and flirting with the idea of converting to Catholicism. Iyengar yoga is strict and precise. I am fun and creative (I think) as a teacher, so studying something with such intense attention to detail would be quite a stretch for me. I talked to the other ladies in the seminar who had taken Lillah’s teacher training. “You end up having a love-hate relationship with her,” one of them observed to me. At one point during this past weekend after practicing yoga for some four consecutive hours without a snack, I spontaneously lay down on the floor and put my feet up on a chair. “Catherine, are you ok?” Lillah asked me. “Well then get up,” she commanded me. I slept better that night than I had in years. I dreamed so deeply I just knew I was working things out at a very deep level. The next morning, during our pranayama practice (breathing exercises), I kept falling asleep. Lillah would come over and wiggle the big toe of my right foot. I would wake up, then fall asleep again before she came over and wiggled my big toe again. This kept going on repeatedly the entire practice. “You fell asleep during pranayama,” Lillah said to me afterwards. “Oh well. When my students fall asleep during meditation, I tell them they must need the extra rest,” I said. That night, after my pranayama nap time and yet more hours of consecutive yoga without a snack, I slept very very deeply and had yet another dream that showed me I was working things out in my subconscious mind. I was the first person to sign up for Lillah’s 2012 200-hour yoga teacher training. This is like going back to freshman year. I just received the first three books I will had to read as part of the training. They are neatly stacked in my living room, just waiting for me to have a free moment to begin studying. I first started studying yoga in my 30s. I took some of my certifications in my 40s. Now I get to study yoga again as a 52-year-old with my 52-year-old menopausal body. Lillah Schwarz is eight years older than me and has been teaching and studying yoga for 30 years. She is 60. At one time, I had an old VHS video of a woman teaching yoga in her 90s. She might have been 92 when the video was made, and there she was, railing away about how to do your poses better. She looked very strict like she wasn’t about to allow anybody to mess around with her. Like Lillah, she was an Iyengar yoga teacher. Thank God I am a yoga teacher. I have found something I can study with passion my entire life, a subject so deep I can never quite master it.